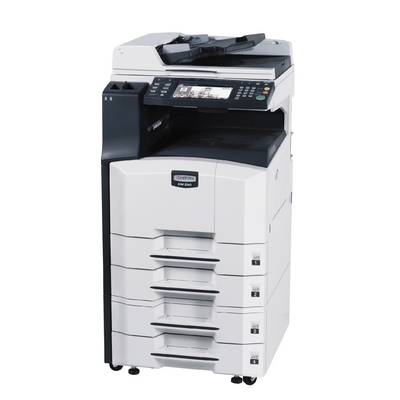 Trade Price Copiers are based between Nottingham and Derby. Trade Price Copiers have over 35 years of experience in the copier business We sell the very latest in laser digital photocopiers that have the facility to be networked from all your PCs, we also have a large customer base who rent photocopiers with a rental charge as low as £9 per week which includes free parts and labour, no call out charges, free servicing with no contract that tie you down and its free to upgrade or downgrade your photocopier at anytime. We sell reconditioned copiers that are end of lease or the customer has simply upgraded, these copiers have been fully serviced. Please see our current stock of copiers colour or black and white photocopiers or check weekly as this list can change. 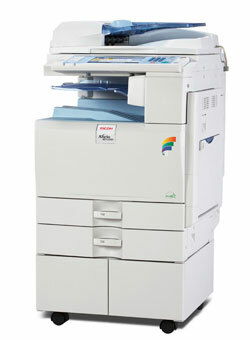 Save £££s on your laser printer and inkjet bills by combining the cost with the Ricoh Colour photocopier. Can be used on Windows XP Vista 7, 8, 10 and MAC Computers for use as a laser printer. When you do the maths on printing, inkjets may well cost you a whole lot more than you realise. The Laser digital photocopiers we sell are faster and more cost efficient than even your stand alone laser printers and inkjet printers and will save your company hundreds of pounds per year. We charge 0.085 pence per copy that's less than a penny a copy. 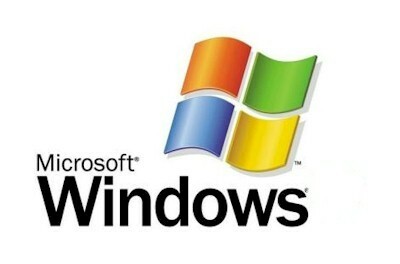 Can be used on Windows XP Vista 7, 8,10 and MAC Computers for use as a printer. We have a large customer base that varies from local businesses, schools, hospitals, banks to airports and we continue to grow our core business of photocopiers and laser / fax / photocopier consumables. Office stationery supplies coming soon..
With the growing need for colour copiers please view our pages on colour photocopiers for rental or to buy. All our colour photocopiers come with the ability to act as A3 A4 colour laser printers as well as coming with scanners as standard. We sell used or new photocopiers black and white & colour all for sale lease copier machines A3 Ricoh Digital photocopiers compare our colour copier prices and reviews on office machines from small desktop to network multifunctional A3 colour photocopiers. 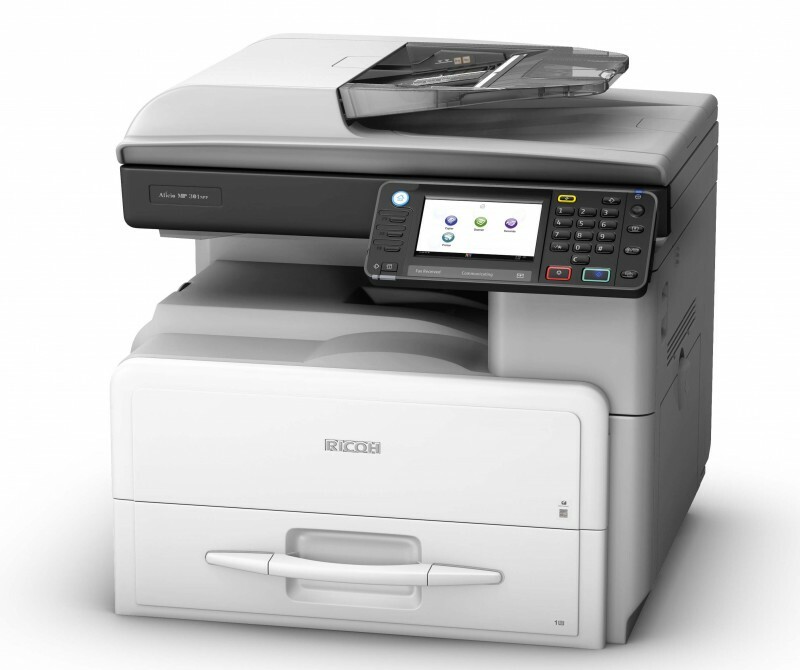 Used or new, cheap or expensive we cover all photocopiers from Ricoh Kyocera Nashuatec and more. 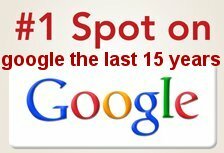 This gives the new start up companies or business's that have been established for 100's of years the opportunity to escape being tied into a lease for 5 years. 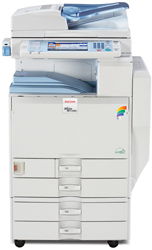 We rent hire colour copiers long term as well as short term. 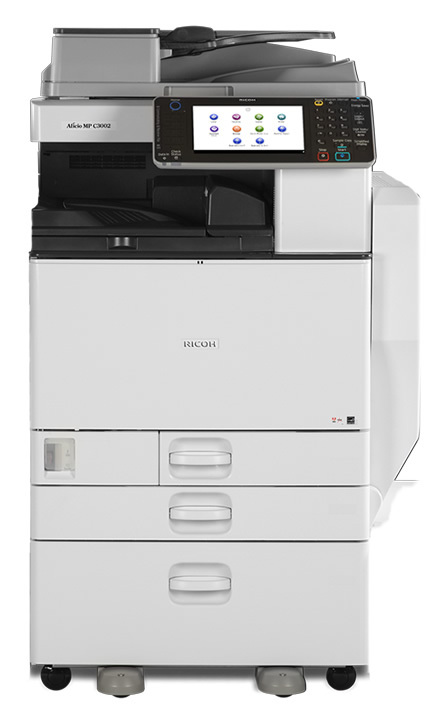 We rent hire colour copiers and we show our prices on all our photocopiers unlike most who tend to hide their cost of any copier colour or black and white they advertise. Trade Price Copiers don't even have a salesman who would be working on commission on every sale of a copier colour or black and white we just state the price of copiers. No salesman to keep harassing you into signing a copier contract, No salesman making a commission on the copier you've been sold. Trade Price Copiers have no contracts for copier sales and no salesmen. The price you see is the price you pay.